If you haven't entered yet, make sure to enter the Body Shop giveaway happening right now. If you want the details be sure to read them right here. I would REALLY appreciate it if you would tell your friends about it too, by posting on your FB page or twitter. Pretty please? Here is the feature of the week. I simply ADORE chalkboard art, and someday I am going to get as good as some of these pros. 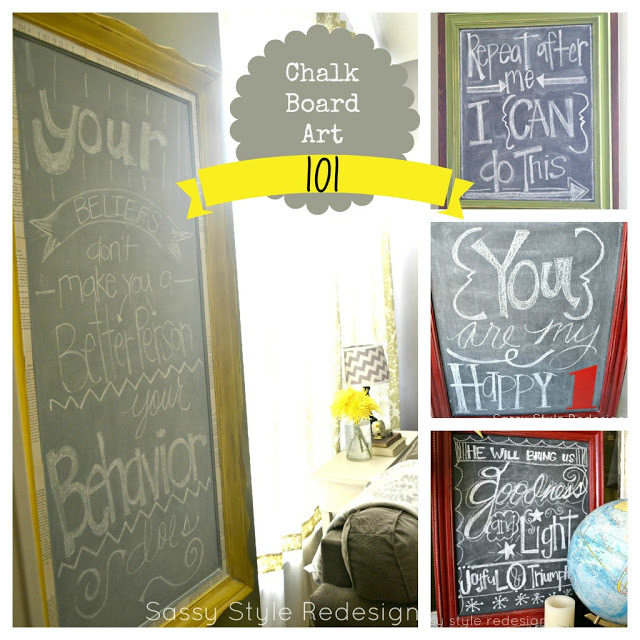 Love what this blogger did with her chalkboards! Thanks for hosting and for offering a giveaway! Thanks for hosting this party! I am a follower via GFC. Thank you for hosting, Sara! If you haven't already, I'd love if you'd come join my How To Tuesday link party, too.